May, June, July . . . well that took long enough. The first tomato of the season, that is. Yeah, it looks like it's going to be another one of those too-cool years where the tomatoes make late and get ripe later. That's how it went last year, and when we finally started to get a bunch of ripe tomatoes, the blight hit. Wiped out most everyone's crop hereabouts. This year, we've had precious few really scorching-hot, perfect tomato weather days, but it looks like we're getting a decent number of fruit on the vines. So far, too, it looks like the blight is being held at bay. On the other hand, the jalapeños seem to be doing fine. I've already picked a small mess of them. A couple of those went into a bottle of red wine vinegar to make hot sauce for the mustard greens in the bunny-proof wheelbarrow bed. 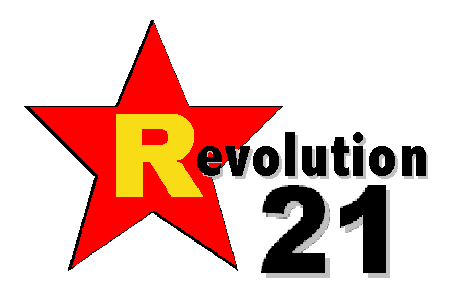 Ah reckon that's about it for the Revolution 21 farm report. I'm your Mighty Favog reporting. P.S. : The headline? A pun probably understood only in Quebec or south Louisiana, based on "Lâche pas la patate," or "Don't drop the potato," which is a colloquialism for "Hang in there." And no, "mon nèg" has no racial connotation whatsoever here -- it's a Cajun term of endearment. For what it's worth.